"Since its emergence as a major spectator sport in the 1920’s, golf has provided lifelong recreational and job opportunities and enjoyment for millions. In 2012, the Bay State golf industry supported nearly 25,500 jobs with $796.8 million of wage income." Since its emergence as a major spectator sport in the 1920’s, golf has provided lifelong recreational opportunities and enjoyment for millions. Golf is also a major U.S. industry generating jobs, commerce, economic development and tax revenues for local communities. 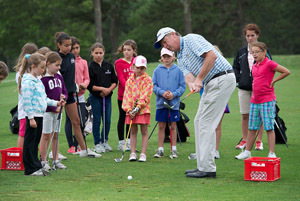 - See more at: http://www.wearegolf.org/economy/impact/#sthash.kjeUFdjj.dpufSince its emergence as a major spectator sport in the 1920’s, golf has provided lifelong recreational opportunities and enjoyment for millions. Golf is also a major U.S. industry generating jobs, commerce, economic development and tax revenues for local communities. $176.8 Billion – Total economic impact of golf in America, including direct, indirect and induced impacts. $68.8 Billion – Total size of the golf economy nationally. $55.6 Billion – Total wage income from about two million U.S. jobs. 15,000 – Approximate number of U.S. golf facilities, with more than 10,000 open to the public. $20.6 Billion – Total travel expenditures produced by the golf industry. $5.6 Billion – Total amount spent on golf supplies. $523 Million – Total spent on golf-related media including books, magazines, DVDs, etc. $26 – Median green fee in the U.S. Eight out of 10 golfers play public golf.